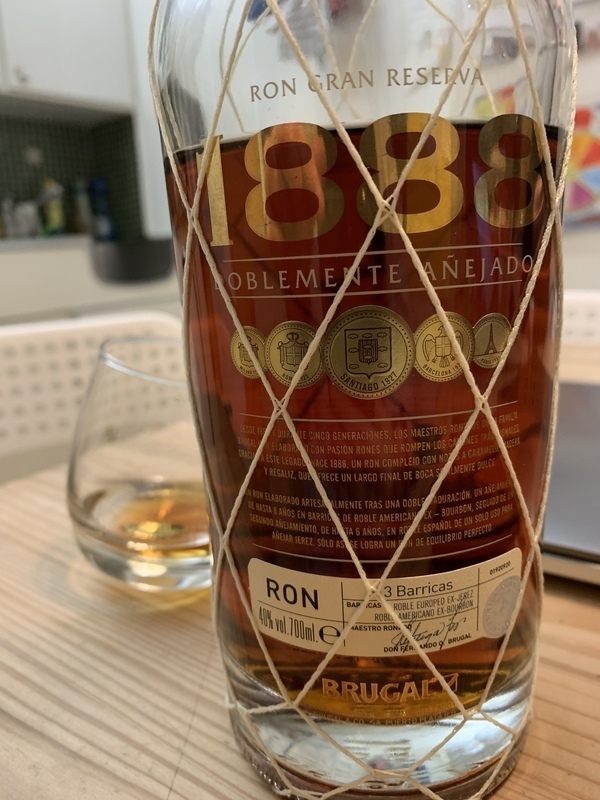 Have you found an online vendor selling Brugal 1888 Ron grand reserve? This was best at Top of the Market in San Diego. A little rough - a lime smoothed it out some. Interesting nose with a slight burn. The sip is not diverse and the burn continues beyond the initial taste yet I will stock it, not as a sipper but as a mixer. Coke, ginger ale, citrus all created a wonderful flavor well beyond the normal mixer. apparently this was aged in Sherry casks for duration of time. Accordingly, it has a slight orange liqueur flavor to it. Overall, a pretty solid rum. However, the finish is not nearly as smooth as some of the premium rums I have tried. Has a little alcohol bite to it and is a little too hot. Hints of wood and vanilla. Not flavorful enough for my tastes. Well it was Grand Reserve which surprised me. It is pleasant enough to drink but lacks complexity and long finish. Mild oak with some sweetness but that is about all. This took me by surprise. Great flavor profile. Smooth, oaky flavor with subtle hints of sweetness. I would highly recommend this if you enjoy an aged rum. Good sipper, nice finish. Didn’t buy this one so I don’t know if it’s a good value. Need to try again. This was definitely more sweet than expected but I enjoyed the smoothness of the flavor. Rum oh rum! Not a fan of brugal, but 1888 definitely has its place in the rum shelf! Complex journey of tastes through the sip. First rather bity and industrial but that mixed with the sweet vanilla and bitter sugary aftertaste has something special about it. Deep amber color with notes of peaches and caramel. Brugal 1888 is a brainteaser for me in the sense that during the first testing at the best rum bar in Chicago it tasted very good, strong vanilla but not over powering and sweet enough without being just loaded with sugar, and hardly any burn. Then the following day I got a bottle of it and tried it several times during the next 3 days and it was not that good at all. Strong unpleasant flavor and a strong burn, so it felt to be a very different rum to me altogether. I have to give it another chance in the future. A bit too dry for me with an oak taste and just a tad of sweetness. The taste doesn't last long and the aroma doesn't convince me.